This tour will bring the tourist from Co Laois to Co Wicklow which is Ireland’s Garden. The Trip will bring you cross country from Laois through Co Kildare and up into Baltinglass and onwards towards Blessington to see Irelands only underwater village, the church steeple which can be seen on a dry day. The trip continues then up the famous Sallygap and from there you will be spoiled by the scenery which is the most spectacular in Ireland to say the least. 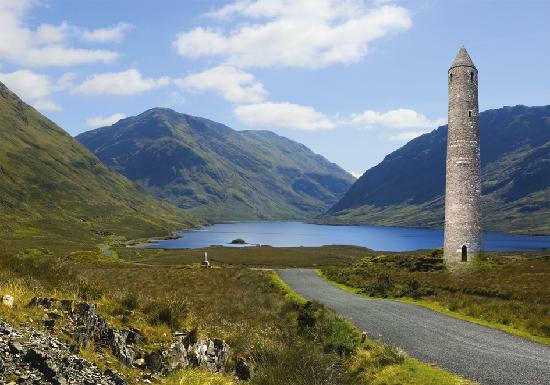 The trip continues to Glendalough and a visit to the famous Monastery and Round Tower founded by St Kevin in the 6th century. and then onwards back home to Laois.